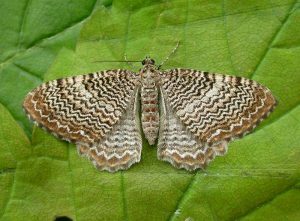 “Particularly pleasing was the Lobster Moth again which was quite late in the flight season, meaning the population must be doing very well. It was also nice to see Beautiful Carpet which has declined in Warwickshire and now very local and uncommon. It needs open sections of woodland with bramble or rasperry growing (the foodplant). The Common Lutestring was also a good record and a local Warwickshire species. The preferred Warkwickshire larval foodplant tends to be Birch, although they will use Oak and Hazel too. Larch Pug is another very local species we saw on the night, although occasionally fairly common where found, which is usually in areas of Larch plantation. This is positive assurance that the wood remains healthy and diverse. 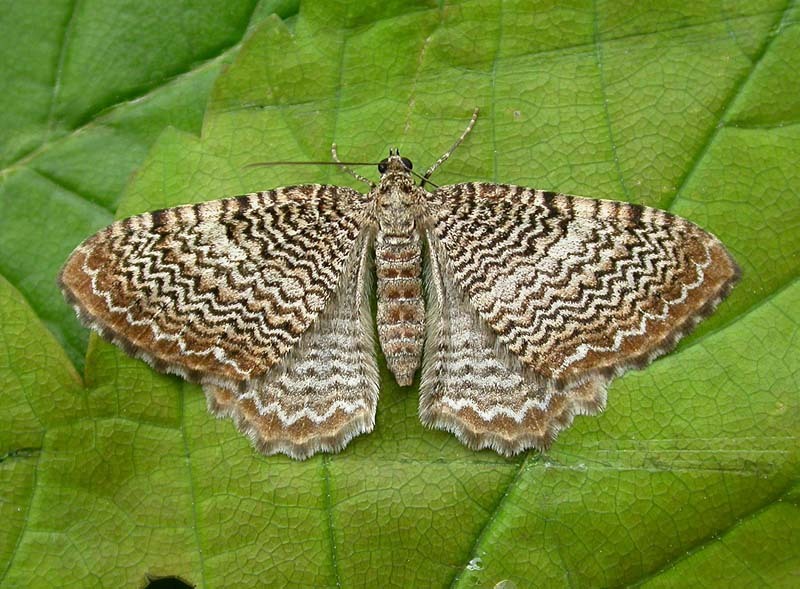 The picture below is of the Scallop Shell moth.